Gowri’s world is jolted when a spate of murders of teenaged girls in her village seems inexplicably connected to her family’s mysterious past. Her problems are compounded when her sister is subjected to smarthavicharam, a trial for adultery for Namboodiri Brahmin women, after being accused by her sister’s husband Balaraman. Her sister is convicted, deemed a sathanam (an inanimate object) and given away to the untouchables. Contact with untouchables was forbidden for a Namboodiri, yet Gowri attempts to rescue her sister from the untouchables. For that she needs to fight the Namboodiri social system despite the limitations of a Namboodiri woman. Gowri and her teenaged friends put their own lives in danger as they try to uncover the mystery of their society, which is embedded deeply inside a complex social setup. 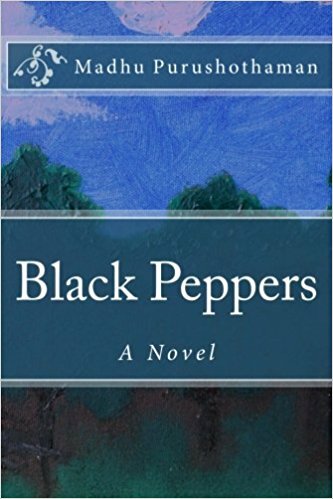 Black Peppers is set in 1742 AD in a cluster of hamlets in the southern region of Kerala in India around the time when the then nascent kingdom of Travancore was taking shape. It also marks a period when European powers were jockeying with one another to establish a foothold in Kerala and take control of the spice trade. This is the story of 5 girls whose lives are connected by the cultures, customs, traditions, and politics of Kollam kingdom. I would say, it is very difficult to give a gist of this story as it is complex. It covers the time period of 1742 AD when Kollam is under the power of King's niece with Dutch's support whereas other parts of South India are under the control of Venad King Marthanda Varma. This is the story of struggles of women in those times when they don't have any say in the important decisions of their lives including marriage. Those were the times when caste system has deep roots and even the women of higher caste-like Namboodiri Brahmins have a lot of restrictions to study or to even go out on their own. It is fascinating for me to read and know about the struggles of women in those times. All the characters of this story, especially Nayi, Gowri, and Valli are very brave to go against the traditions to save their families or save themselves. I didn't even read the blurb of the book before starting to read as I want to have a fresh perspective. Since I am not from Kerala, I felt some difficulty in the initial pages to get used to the place names, the territory, the customs, and politics. The map at the beginning of the story and prologue are very helpful for people like me who don't know much about this part of India. Even though the author tried his best to explain the terms like 'Sathanam', 'Smarthavicharam' etc., as part of the story, an index of these terms and their meanings separately at the bottom of the page / at the end of the book might have been helpful. I loved the way the author connected all the dots and explained the mysteries with logic. My favorite part is that the suspense element is maintained until the end. The narration is gripping and I completed most parts of the book in one go. It was difficult to put it down in the middle. The characters are etched so well with different layers that they stay in our minds even after we finish the book. The narration and the tone are friendly. The pace of the book is just right. I appreciate the author for the amount of research he might have done about the territory, politics, and traditions of the land. This is another good historical fiction I read this year after reading the translated version of "Ponniyan Selvan" by Sumeeta Manikandan and "Empire" by Devi Yesodharan both of which are set in South India. As I mentioned earlier, the meaning of Malayalam terms at the bottom of the page would have been helpful. It was difficult for me to understand the initial pages with many new terms. 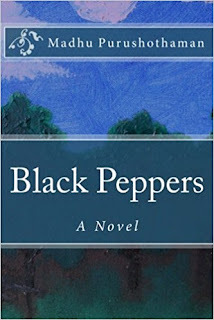 Even though the title of the book is relevant with inherent meaning in the story, I expected a better title. The book cover might have been more relevant to the story. Overall, I recommend this to all who love to read historical fiction and want to know about the struggles of women in South India during Marthanda Varma's reign. Ps: I have received this review copy from the author in exchange for a review and this is my honest opinion on the book. Madhu Purushothaman was born in Kerala, India. He currently lives with his family in Colorado, USA. He can be reached at madhu@booksmp.com. Visit his website at www.booksmp.com.